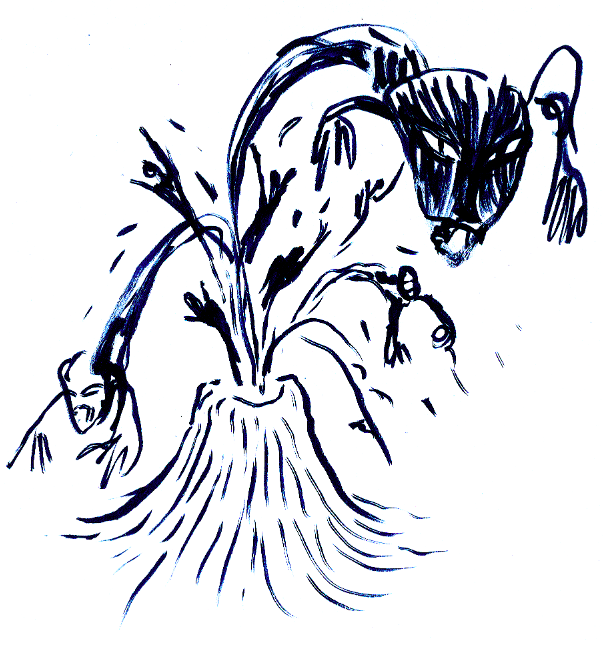 Just as waking life volcanoes are powerful forces of nature, dream life volcanoes are powerful symbols of the unconscious. But just what kind of power is the dream volcano symbolizing--a majestic display of the divine, or an explosive eruption of violence? Read on for ideas as to what kind of power is simmering in your psyche. Under PressureVolcanic activity occurs deep within the earth where gases and other materials collect and gather force while being held down by the earth. Volcanoes are always associated with pressure--the pressure to keep the gases in check under the earth and the pressure that is building to overcome that which is keeping it underground. Volcanoes in dreams, therefore, can indicate that one is under immense pressure and worse, that this pressure is coming from too directions. There is a pressure bearing down that is working to keep things in check, while that which is being suppressed is gathering force, working toward release. In dreams, this may indicate that one feels pulled in two direction--there is a pressure to maintain control, while there is a simultaneous desperate desire to find release. Oftentimes the pressure can be symbolic of two competing spheres of life, for example, the pressure of work life coming into conflict with the pressure of family life and relationships. The key here is to identify what the pressure is and to find a way to let off steam before before an explosion occurs. Arguably, the most obvious and common interpretation of a dream volcano is the view that the volcano represents a dangerous, violent emotional situation that is about to erupt. And oftentimes, the most obvious interpretation is the best interpretation. The unconscious speaks in images, not in words, and it often employs familiar activities and events of waking life to get across its wordless messages. A volcanic eruption is a pretty familiar image and a pretty expressive and powerful one at that. We are all familiar with how a volcano erupts--it gives warning, it spews some clouds of ash here, it belches out some hot air there, and then, just as it promised, it spews out the contents that have been building up unseen inside its core. Oftentimes our emotional lives act in the same manner as volcanoes. We feel anger, but we stuff it down. We feel frustration, but stifle it. We know we are unhappy with our lives, our choices, our jobs, but we stuff that dissatisfaction deep down, thinking that we can keep everything under control. We get warnings--heartburn, indigestion, spikes in blood pressure--but we ignore them until one day, the forces that are underneath the surface keep their promise and erupt in a violent emotional outburst, or worse, in a physical catastrophe such as a stroke or heart attack. If you are dreaming of volcanoes, examine your emotions, examine your life. Are you suppressing emotions or outright denying them? If so, attempt to get in touch with those feelings and find a healthy way to deal with them. Don't ignore their warnings! Volcanoes are often associated with gods and goddesses. In fact, the very name "volcano" comes from the Roman god Vulcan, a smith-worker who perfected his craft via the fire from the bowels of the earth, the place he called home. Even today, volcanoes are associated with the power of divinity. Pele, the Hawaiian goddess of fire, volcanoes and lightning, is a prime example of the association between divine power and volcanoes. Dreams of volcanoes can, in fact, symbolize the divine, or an encounter with an awesome force. It can indicate a profound change that is taking place within the psyche, a radical shift in awareness, or an outpouring or eruption of the contents of the unconscious. Encounters with the divine can be awesome, and shifts in the psyche can result in powerful, positive life changes. However, exercise caution when doing spiritual work or when attempting to make contact with the divine. Volcanoes are awesome displays and miraculous to witness when erupting--but one can only take in the beauty and fully comprehend the miracle from a distance. Be an active avenue in which the Divine can flow, but don't expect to swim in lava and emerge unscathed.